At BXG, we have catered programs to fit everyone ranging from those who are curious about what Muay Thai is all about and are eager to learn the basics, to the more serious students who wish to take it a notch higher and are keen to compete in tournaments. We also have practitioners of other martial arts who learn Muay Thai to complement their own skills as well as more women who join to learn some form of self-defense. Generally, Muay Thai training improves your overall physique, reflexes and boosts your confidence level. Muay Thai or Thai kickboxing has over the years developed in the international arena from an almost unknown martial art to the well-established phenomenon which it is today. The misconception of Muay Thai being a violent sport has slowly but surely been replaced with the awareness of its benefits as a martial art form coupled with the mental training and self-discipline that comes hand-in-hand with the physical advantages of the sport. 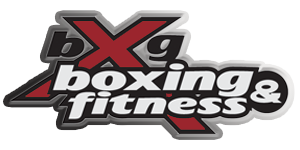 HOMEABOUTSCHEDULECOURSESINSTRUCTORSGALLERYCONTACT© 2019 BXG Boxing & Fitness. All rights reserved.